Hakeem Al Araibi, a former member of Bahrain's national soccer team who has been critical of the country's government, was arrested in Thailand on November 27 based on an Interpol notice issued at Bahrain's request. Australia's Foreign Minister Marise Payne has urged Thai authorities on Sunday to release a footballer who holds a refugee status in Australia and who has been detained in Bangkok since late November. Al Araibi was convicted of vandalising a police station in Bahrain and sentenced to 10 years in prison in absentia. 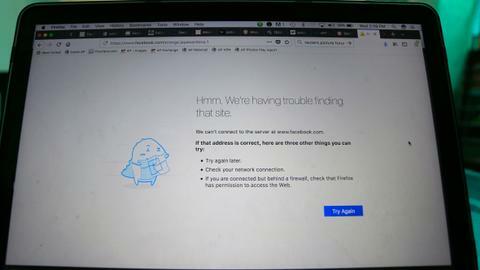 He has denied wrongdoing. "Australia is concerned by the ongoing detention of Mr. Hakeem Ali Al Araibi and calls for his immediate return to Australia," Payne said in a statement published on the ministry's website. "Returning Mr. Al Araibi to Bahrain, from where he fled, would contravene his rights under international human rights law." At a court hearing on Friday, Al Araibi was served with a formal arrest warrant, which could pave the way for a possible extradition to Bahrain. 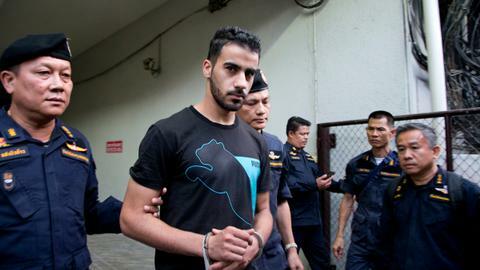 Bahrain's embassy in Thailand said on Twitter in early December that Al Araibi "is wanted for security cases". Al Araibi told Human Rights Watch on Friday that if he is sent back to Bahrain his life "is in danger". He had said previously he was tortured in Bahrain and fled in 2014 to Australia, which granted him political asylum in 2017. He has been a vocal critic of the president of the Asian Football Federation, Sheikh Salman bin Ebrahim Al Khalifa, who is a cousin of the king. He was tortured by Bahraini authorities because of his brother's political activities during the Arab Spring uprising in 2011, Human Rights Watch said. FIFA, world soccer's ruling body, has also called on the Thai authorities to allow for the return of Al Araibi to Australia at "the earliest possible moment". Payne said that she has raised Al Araibi's matter with her Thai counterpart. "Australia has made, and will continue to make, high-level diplomatic representations seeking Mr Al Araibi's safe return," Payne said in the statement.